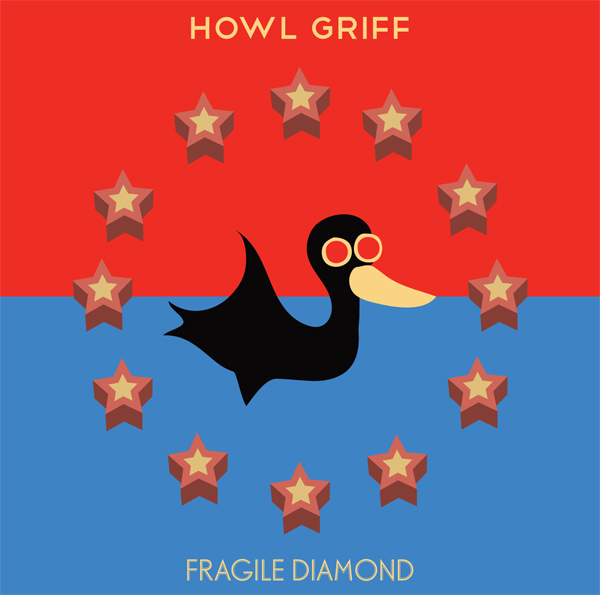 Anglo-Welsh-American psychedelic rockers Howl Griff released their third full album, Fragile Diamond, on 15 October 2012. Following their critically acclaimed eponymous Welsh language debut (which Clash Magazine called the work of a “Welsh Brian Wilson”) and the English language LP The Hum – (which yielded much coverage on BBC 6Music including an MPFree of the Day) – the band has taken another major step forward. RAW: How fragile is the music that you create? Do the sounds have the strength, determination and the will to succeed in the notoriously harsh landscape of 21st century music? HOWL: Well, it’s not all jangly and fragile. 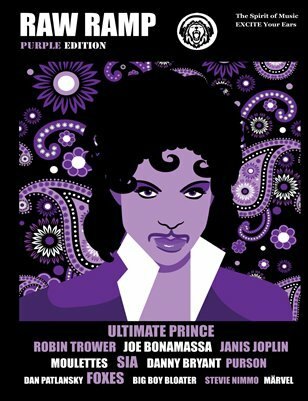 There are songs on the album such as ‘She Walks On By The Flame’ and ‘FÜßßBÜKKËR’ that really rock out in a big way. The reason we sound jangly is that I made the mistake of buying a 12 string Rickenbacker. I had no intention of getting one. A friend of mine runs Wunjo Guitars on Denmark Street and he had one and I loved playing it and he sold it to me for a very good price. It just so happened that every song I’d written sounded like The Byrds now! Gary and I both sing and really like harmony groups such as The Beach Boys and The Beatles so it was natural for us to sing like that. Steve, who recently joined the band, sings too. HOWL: Well, we’re based in London and ¾ of the band are English speakers. I’m the only Welsh speaker. Most of our gigs are in this part of the world and while I will write another Welsh album someday, now is not the time. We also felt that we were getting somewhere with our previous album ‘The Hum’ and so decided to push on. RAW: Have you changed the title of your new album, from Sharkfins In The Sky to Fragile Diamond ? If so, why? HOWL: We just decided it was a better title. It’s as simple as that really. RAW: Can you tell us the story behind the ‘Sharkfins In The Sky’ track? HOWL: We used to rehearse above an ice rink in Streatham. It’s been knocked down now. While we were loading our equipment into the car we heard and saw a commotion. It turned out that these kids were breaking in through the fire exits into the ice rink where there was a disco going on. It was an attempted robbery and an innocent young lad was shot and killed on the ice rink. RAW: How much influence do the poets and writers of the ‘beat generation’ have over your music and your style? HOWL: I’ve read some Kerouac and Hunter S Thompson but I’m not sure if it’s ever influenced the songs. But maybe everything that you’re exposed to influences you in some way? RAW: Your sounds have been described as surf music. Songs like ‘Emily Rose’ seem to identify with a place / culture similar to that found on the beaches of Southern California in the 1960’s. Have you been inspired by ‘Surf Music’ philosophy and culture? HOWL: Some of the songs may have a surf guitar element to them, mainly due to the guitars and amps that we use. I come from West Wales so I do feel an affinity to California on some days of the year, but usually it’s wet and cold. We’re quite laid-back people so I guess there’s a bit of a hippy vibe going on … but we don’t limit ourselves to one style or sound. I wrote the Rose Of Emily on the Isle of Skye on a beautiful sunny day. So it’s probably more Scottish than anything! RAW: How do band members from such geographically (and socially) different places – Aberystwyth, Bolton, Merseyside and Texas – get on so well together? What are the disadvantages? What are the positive aspects? What are the strings that bind you? HOWL: Music. We have other interests outside of music but the one thing we all share is the love of creating music. The ability to make music excites me so much more than listening to it. The fact that we’re making music together is serendipity really. Nick and I used to share a house together. Then Gary joined and he was a work colleague of Nick’s. Steve joined as he’d come over from California to work in London and I lived with a work colleague of his who placed a ‘bass player wanted’ ad at work. RAW: Vocally, the sounds of Howl Griff are fresh, and the harmonies are exquisite and effervescent. How much effort is put into creating vocal sounds that are as lush as these? Can those sounds ever be recreated accurately in a live show? HOWL: The vocal harmonies are all Gary’s work. He writes them all and sings them perfectly. He has perfect pitch too. He then teaches Steve and I our parts to complement his. We sometimes double-track the vocal parts to thicken them out. There is no auto-tuning whatsoever. What you hear is what you get. Gary will probably do an acapella solo album one day with multi-tracked vocals. It will sound amazing! We’re pretty good at doing them live. You should come and see for yourself! RAW: The verse of ‘Everything’ on album ‘Fragile Diamond’ sounds – to us anyway – like something from Gary Numan. Which darkwave musicians would you admit to being influenced by? HOWL: That’s interesting. Well spotted. I loved Gary Numan’s music as a child. I like the way he sings. I can still play the riff from Cars on my guitar. I like a lot of music from that era, darkwave, new wave too, particularly Joe Jackson, Teardrop Explodes and Talking Heads.